The latest Quarterly Report to Congress from the Office of the Special Inspector General for Iraq Reconstruction has been released. The following are excerpts relevant to private military contractors. On July 22, 2010, several rockets impacted inside the International Zone, killing three foreign-national contractors working for Triple Canopy, a U.S.-based security company.Figure1.10 [ see p. 16] lists the 15 contracting companies that have reported the largest number of deaths in Iraq since March 2003. This quarter, the Department of Labor (DoL) received reports of 12 additional deaths of contractors working on U.S.-funded programs in Iraq. DoL also received reports of 882 injuries this quarter that caused the injured contractors to miss four or more days of work. Since 2003, at least 1,487 death claims have been filed with the DoL. KABUL, Afghanistan – In a summer of suffering, America’s military death toll in Afghanistan is rising, with back-to-back record months for U.S. losses in the grinding conflict. All signs point to more bloodshed in the months ahead, straining the already shaky international support for the war. Six more Americans were reported killed in fighting in the south — three Thursday and three Friday — pushing the U.S. death toll for July to a record 66 and surpassing June as the deadliest month for U.S. forces in the nearly nine-year war. U.S. officials confirmed the latest American deaths Friday but gave no further details. Five of the latest reported deaths were a result of hidden bombs — the insurgents’ weapon of choice — and the sixth to an armed attack, NATO said in statements. U.S. commanders say American casualties are mounting because more troops are fighting — and the Taliban are stiffening resistance as NATO and Afghan forces challenge the insurgents in areas they can’t afford to give up without a fight. One battle in the other Afghanistan war: How a mismanaged $60 million USAID project alienated those it aimed to help. A muddy trench, crumbling at its sides, snakes from a swift stream five miles down to an aging hydropower plant in northeastern Afghanistan. 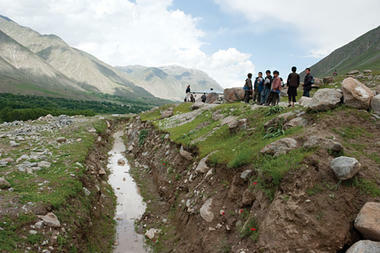 Walking in sandals along the dirt banks, engineer Qand Agha Noori explains how Americans promised to build a proper canal to bring more electricity to his community. But this excavated earth seems to be nothing more than a scar on the land – and on the impression Mr. Noori and his kith and kin have of Americans. He stops next to a boulder in the trench. He explains that shoddy construction – including incomplete concrete walls and drainage culverts – resulted in landslides blocking water flow to the turbine and, in turn, electricity from reaching any homes. The $1 million canal was part of a $60 million development contract that the US Agency for International Development (USAID) had with PADCO, an American company. PADCO’s 2009 completion report claims to have tripled power in Baharak and nearby Faizabad. On paper, the multipronged project revitalized a backward Afghan province, weaning it off poppy cultivation and winning Afghan hearts and minds. However, a Monitor investigation reveals that even in spite of a few modest gains, the Afghans here were left angered over project failures, secrecy, and wasted funds. “Now the people are hating American companies like PADCO because many times they brought millions of dollars, but didn’t do anything,” says Syed Abdul Basir Husseini, the electricity chief for Badakhshan Province. “All Badakhshanis know that it was $60 million [that America] spent,” he says, adding that they see little evidence of it. The story of what went wrong exposes serious weaknesses in the third pillar of America’s “clear, hold, build” Afghan strategy. Among them: big-spending hastiness, unrealistic deadlines, high development staff turnover, planning divorced from ground realities, and ever-present security risks in this war-torn nation. With the 2011 withdrawal date for U.S. forces in Iraq drawing closer, experts Thursday warned members of a U.S. security commission that protections are needed for Iraqis who have helped U.S. forces and face threats of assassination by insurgents. The hearing of the Commission on Security and Cooperation in Europe, known as the U.S. Helsinki Commission, came days after an Iraqi man working for U.S. forces was shot by his insurgent son, who had links to al-Qaida in Iraq. Hameed al-Daraji had worked as a contractor and translator for the military. “There are no serious contingency plans to evacuate the thousands of Iraqis who’ve worked for the U.S. and live alongside our troops,” said Kirk Johnson, executive director of the List Project to Resettle Iraqi Allies, reading from a prepared statement. The experts warned that if the U.S. is not careful as it leaves, it could abandon some of the very Iraqis who made large contributions to the American operation there, leaving them vulnerable to assassination and attacks by insurgent groups. Several implored the Obama administration to learn from history, particularly that of the Vietnam War. “The United States was woefully unprepared for the collapse of South Vietnam and unfortunately, the prevailing attitude bordered on callous disregard,” said Craig Johnstone, president of Refugees International. The United States’ lack of a plan for Iraqi allies and refugees, they said, could set a dangerous precedent for the mission in Afghanistan as well. “If we allow the thousands of Iraqis who have risked their lives to help us to perish or to spend the coming years in hiding, in peril, in flight, we are fools to think that we can expect support from Afghans,” said Johnson. Particularly endangered are the Iraqis who participated in the “awakening,” the U.S. military’s campaign to convert Sunni insurgents to help the Iraq government. Johnson said many already have been killed. “We’ve not been able to provide protection,” he said. Sen. Benjamin Cardin, D-Md., and Rep. Alcee Hastings, D-Fla., who head the U.S. Helsinki Commission, hosted the hearing out of concern for Iraqi refugees who might be trapped in Iraq because of the protracted refugee application process. “Why does it take so long under the special process?” asked Cardin, pressing the panel to explain the bureaucratic process that allowed Iraqi allies to come to the United States. Johnson and Johnstone shook their heads, saying that the question would be better posed to the government officials who handle the cases. RALEIGH — A former Marine and Raleigh man was in federal court today, accused of smuggling 70 firearms over the last five months to England, where he is now living. testified in the federal courthouse in Raleigh this morning about the case. The agents found 16 firearms that had been been broken down in various parts in Greenoe’s checked luggage, Bell said. Greenoe claimed he had purchased the guns to bring back to England and then sell to employees of a maritime security company he said he ran to protect ships traveling through dangerous seas and subject to pirate raids, Bell said. return trips to England, Bell said. Greenoe grew up in Raleigh and then served as an infantryman in the Marines before being medically discharged for an injured knee, according to statements made in court by his mother, Mary Greenoe, and his lawyer. Those firearms all had the serial numbers removed, and had been bought in North Carolina days earlier, Bell said. None of the weapons were declared nor did Greenoe have the export license needed to bring firearms out of the United States, Bell said. KABUL — Rioting erupted in Kabul Friday when two US embassy vehicles were set ablaze after one collided with a civilian car, killing a number of occupants, officials and witnesses said. (CBS/AP) A fatal traffic accident involving private U.S. security contractors sparked an angry demonstration in Kabul Friday, with enraged Afghans hurling stones, setting fire to two vehicles and shouting “death to America” before police fired guns into the air to disperse the crowd. Four Afghans were killed in the accident on the main airport road, according to Kabul’s criminal investigations chief, Abdul Ghaafar Sayedzada. There were conflicting accounts of the accident and its aftermath. Local witnesses told CBS News that the Americans were driving the wrong way down the road, though DynCorp denies that version of events. Witnesses also said only three locals were killed in the crash, with the fourth dying after the U.S. contractors opened fire into the crowd. WASHINGTON, July 30 /PRNewswire/ — A group of 72 Iraqi citizens who allege they were tortured while imprisoned at detention facilities across Iraq can continue with their lawsuit against military contractor L-3 Services, Inc. and a former employee, a federal judge in Maryland ruled Thursday. In a 92-page opinion, U.S. District Court Judge Peter J. Messitte denied the defendants’ motions to dismiss the Iraqis’ federal and state court claims. He wrote, “On the facts alleged, Defendants’ actions arguably violated the laws of war such that they are not immune from suit under the laws of war.” The court also rejected claims of government contractor immunity defense. The former detainees, all of whom were released without charge, are represented by Susan L. Burke, of Burke PLLC in Washington, D.C.; Katherine Gallagher, senior staff attorney at the Center for Constitutional Rights; and Shereef Akeel, of Akeel & Valentine, PLC in Troy, Mich.
Did Wikileaks Reveal a Poisoned Beer Plot? An interesting morsel from the Wikileaks files: an allegation the Afghan insurgency, in conjunction with Pakistan’s ISI spy agency, tried to poison an American contractor working in Afghanistan though poisoning his beer. The Christian Science Monitor details the plot, identifying the target as James Yeager, an American geologist. 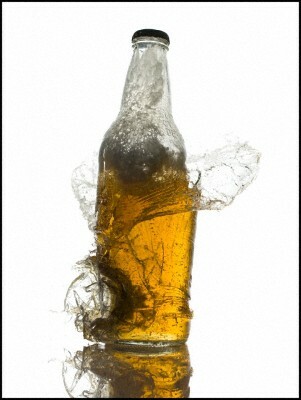 Yeager alleges he returned home one night to find his home burgled, with only a bottle of Corona beer left behind. Since Yeager didn’t like Corona, the beer left sit for sometime until, in a moment of boozy desperation, he cracked it open. General Electric Aircraft Engines, Lynn, Mass. is being awarded a maximum $445,281,495 firm-fixed-price, sole-source, requirement-type contract for engine parts. There are no other locations of performance. Using services are Army, Navy, Air Force and Marine Corps. The original proposal was Web-solicited with one response. The date of performance completion is March 31, 2011. The Defense Supply Center Richmond, Richmond, Va., is the contracting activity (SPM400-03-D-9404). PAPCO, Inc.*, Virginia Beach, Va., is being awarded a maximum $61,598,056 firm-fixed-price with economic price adjustment contract for fuel. Other locations of performance are Maryland and Ohio. Using services are Army, Navy, Air Force and federal civilian agencies. The original proposal was solicited on the Federal Business Opportunities website with 52 responses. The date of performance completion is July 31, 2013. 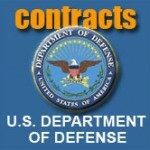 Defense Logistics Agency Energy, Fort Belvoir, Va., is the contracting activity (SP0600-10-D-4024). Navy spokesman Lt. Justin Cole said that McNeley and Newlove are in Afghanistan as “individual augmentees,” which was defined as personnel who are “pulled from their regular commands to take on supplemental missions with NATO Training Mission Afghanistan in Kabul.” No further information was provided by Cole regarding their exact jobs. Confirmed killed is 30-year-old Hull Maintenance Technician 2nd Class Justin McNeley of Wheatridge, Colorado, who is from the Assault Craft Unit 1 based in San Diego. He is believed to have been killed after the armored sport utility vehicle that he and Culinary Specialist 3rd Class Jarod Newlove were riding in was attacked. His body has been recovered by NATO troops after a massive search. McNeley’s companion, Jarod Newlove, is a reservist, 25 years old, and is from Renton, Washington. He has officially been listed as “Duty Status Whereabouts Unknown.” He is believed to have been captured by the Taliban. By AMIR SHAH and DEB RIECHMANN, Associated PressA second U.S. Navy sailor who went missing in a dangerous part of eastern Afghanistan was found dead and his body recovered, a senior U.S. military official and Afghan officials said Thursday. The family of Petty Officer 3rd Class Jarod Newlove, a 25-year-old from the Seattle area, had been notified of his death, the U.S. military official said on condition of anonymity, because he was not authorized to disclose the information. Newlove and Petty Officer 2nd Class Justin McNeley went missing last Friday in Logar province. NATO recovered the body of McNeley — a 30-year-old father of two from Wheatridge, Colorado — in the area Sunday. Taliban spokesman Zabiullah Mujahid told The Associated Press in Kabul on Thursday that two days ago the Taliban left the “body of a dead American soldier for the U.S. forces” to recover. The Taliban said McNeley was killed in a firefight and insurgents had captured Newlove. Mujahid offered no explanation for Newlove’s death. NATO officials have not offered an explanation as to why the two service members were in such a dangerous part of eastern Afghanistan. The sailors were instructors at a counterinsurgency school for Afghan security forces, according to senior military officials, who spoke on condition of anonymity because of the sensitivity of the case. The school was headquartered in Kabul and had classrooms outside the capital, but they were never assigned anywhere near where McNeley’s body was recovered, officials said. The chief of police of Logar province, Gen. Mustafa Mosseini, said coalition troops removed Newlove’s body about 5:30 p.m. Wednesday. An anti-terrorism official in Logar province, who spoke on condition of anonymity because he was not authorized to speak about the case, also said coalition forces had recovered a body. Mosseini said he believed the body washed downstream after rains Tuesday night. He noted in the past several days, the Taliban were being pressured by coalition forces in the area. Mohammad Rahim Amin, the local government chief in Baraki Barak district, also said coalition forces recovered a body about 5:30 p.m. and flew it by helicopter to a coalition base in Logar province, about 40 miles (60 kilometers) away. “The coalition told our criminal police director of the district that the body belonged to the foreign soldier they were looking for,” Amin said. A federal judge is considering sending two former Blackwater security workers charged with murder back to Afghanistan to confront a key witness who refuses to come to America to testify in the case. Federal prosecutors are balking at the idea, citing logistical and safety concerns, but U.S. District Judge Robert G. Doumar said the constitutional right to confront witnesses might trump those concerns. The government has suggested setting up a video feed with the witness in Afghanistan and the defendants here, with their lawyers able to ask questions and conduct cross examination. The former Blackwater workers, Christopher Drotleff of Virginia Beach and Justin Cannon of Corpus Christi, Texas, are charged with killing two Afghan citizens and wounding a third after a traffic accident in Kabul in May 2009. The government contends the two left an Army base without permission and had been drinking that day. Drotleff and Cannon say they fired in self-defense when the Afghans charged at them in a vehicle. The government intends to fly in numerous Afghan witnesses. Dr. Mohammad Hassan Sahibi, who operated on one of the victims who was shot in the head, had initially agreed to come here for the September trial and testify that the victim did indeed die from the head wound. Federal prosecutors informed the court last week that Sahibi now refuses to come. Sahibi is the only neurosurgeon in Kabul. He told the court that his leaving, even for a few days, “would deprive his patients of needed medical care and treatment that only he can provide,” the government said in a court filing. Sahibi would be the only witness able to testify to an official cause of death for that one victim. The government cannot force a foreign national to come here to testify. The defendants have refused to waive their right to confront Sahibi in person, as required by the Sixth Amendment to the Constitution. “The Supreme Court has told us over and over again that the confrontation clause means face to face, in person,” assistant federal public defender Larry Dash, one of Cannon’s lawyers, told Doumar. No one could estimate the cost of such a trip, but Dash insisted it would be at the government’s expense. “The government doesn’t care about expenses,” Doumar quipped. Robert P. McGovern, a Department of Justice prosecutor, told the judge it would be “impractical and extremely dangerous to move them into an active war zone.” In addition, McGovern said, the Afghan government could conceivably seize Drotleff and Cannon as soon as they step off the airplane and prosecute them in Kabul. He argued that a video-taped deposition would be allowed under federal rules and would satisfy the Sixth Amendment as long as the defendants on this end were able to ask questions of the doctor. The father of a 23-year-old Baton Rouge man killed in July 2009 in a helicopter crash at the Kandahar Air Field in Afghanistan is seeking damages from several contractors, including the Baton Rouge firm that employed his son. John deMarsche was one of 16 civilians — and one of two Americans — killed onboard the helicopter that crashed July 19, 2009, near the runway just after takeoff. DeMarsche was employed by Baton Rouge-based Arkel International as a construction manager and worked as a civilian contractor for the U.S. Department of Defense in Iraq and Afghanistan. At the time of the crash, he was in Afghanistan overseeing construction of water wells for the military. DeMarsche’s father, Jeffrey “Jimmy’’ deMarsche, alleges in a lawsuit filed on the anniversary of the crash that the helicopter was defective. He claims the equipment was inadequate and poorly maintained, and that the maintenance and flight crews were underqualified and improperly and inadequately trained. The named defendants are Arkel, Fluor Intercontinental, SkyLink Air & Logistic Support USA, and Vertical-T.
None of those companies could be reached for comment. The suit contends Arkel and Fluor contracted with SkyLink and Vertical-T to transport John deMarsche. The helicopter was owned by SkyLink and/or Vertical-T, the suit says. The suit, filed in state district court in Baton Rouge, has been assigned to Judge Wilson Fields. Government contractors performing in Iraq or elsewhere overseas may benefit from the holdings and logic of two recent federal court decisions. In the first decision, the Fourth Circuit Court of Appeals held that a qui tam relator had failed to state a valid False Claims Act (“FCA”) claim against a construction contractor that built the U.S. Embassy in Baghdad, Iraq. In the second decision, the United States District Court for the Eastern District of Virginia held that a contractor providing brokerage services for the Iraqi Ministry of Defense could pursue a breach of contract claim against the Iraqi government because the Iraqi government was not immune from suit under the Foreign Sovereign Immunities Act (“FSIA”). WASHINGTON, July 27 /PRNewswire-USNewswire/ — A former U.S. Army contractor was arrested today in Newport News, Va., for allegedly killing one sailor and seriously injuring another in a vehicular collision in Kuwait, announced Assistant Attorney General Lanny A. Breuer of the Criminal Division, U.S. Attorney Neil H. MacBride for the Eastern District of Virginia and Brigadier General Colleen McGuire, Provost General of the Army and Commanding General of the U.S. Army Criminal Investigation Command. Morgan Hanks, 25, of Newport News, was arrested on charges contained in a two-count indictment returned by a federal grand jury on July 13, 2010, and unsealed today in the Eastern District of Virginia. The indictment charges Hanks with one count of involuntary manslaughter for the death of Brian Patton, and one count of assault resulting in serious bodily injury for injuring David Morgan. According to the indictment, in November 2009, Hanks was employed in Kuwait as a canine handler by Combat Support Associates and Combat Support Associates Ltd. (CSA). CSA provided site security and force protection at U.S. Army bases in Kuwait. The indictment alleges that on approximately Nov. 19, 2009, Hanks was operating a motor vehicle in excess of the posted speed limit on Alternate Supply Route Aspen in Kuwait. The indictment alleges that Hanks attempted to pass an eight-vehicle convoy on the two-lane road while traveling uphill and caused a collision with another vehicle in which Patton and Morgan were traveling. The collision killed Patton and left Morgan with a serious brain injury and multiple fractures. Hanks is charged under the Military Extraterritorial Jurisdiction Act (MEJA), a statute that gives U.S. courts jurisdiction to prosecute crimes committed outside the United States by, among others, contractors or subcontractors of the Department of Defense. If convicted, Hanks faces up to 10 years in prison. The case was investigated by the U.S. Army’s Criminal Investigative Division and is being prosecuted by Senior Trial Attorneys Micah D. Pharris and Steven C. Parker of the Criminal Division’s Human Rights and Special Prosecutions Section (HRSP) and Assistant U.S. Attorney Eric Hurt for the Eastern District of Virginia. The Criminal Division announced the formation of HRSP on March 30, 2010. The new section represents a merger of the Criminal Division’s Domestic Security Section (DSS) and the Office of Special Investigations (OSI). An indictment is a formal accusation of criminal conduct, not evidence of guilt. A defendant is presumed innocent unless and until convicted through due process of law. UNITED NATIONS, July 26 (UPI) — More oversight and monitoring at the national and international level are needed for private military contractors, a U.N. group said. A U.N. working group on the use of mercenaries and private military and security companies is briefing U.N. delegates on the international mechanisms needed to regulate such activity during a weeklong conference at U.N. headquarters this week. Private security and military contractors are under fire for their role in combat zones. Erik Prince, the founder U.S. private security company Xe, told an audience in Holland, Mich., in May that security forces working for his company in Afghanistan called in NATO support during operations in 2009. Critics say contractors like Xe are operating outside of international law. Members of the working group, the U.N. news center reports, are expected to call for tighter regulations at the national and international level to monitor the work of mercenaries and private security contractors.